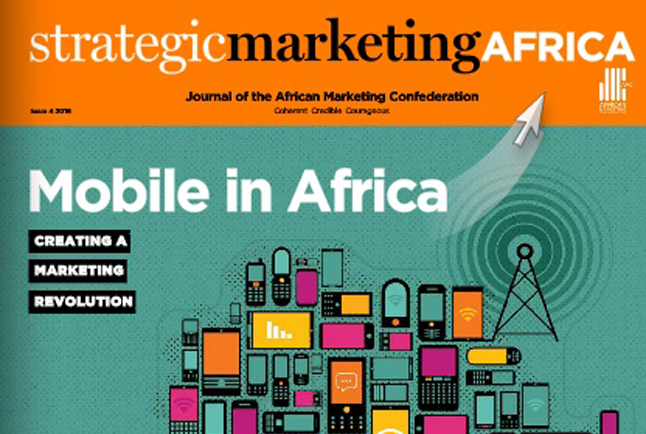 Here is your online link to the 4th Quarter 2016 edition of Strategic Marketing Africa, the quarterly publication of the African Marketing Confederation (AMC). Please enjoy reading and forwarding this high quality magazine to your Network. This is a no-cost value-added service to our Members and Colleagues that will enhance your knowledge of Marketing in Africa and other emerging markets.